Definition at line 110 of file Gnu.h. Definition at line 112 of file Gnu.h. Definition at line 114 of file Gnu.h. Definition at line 115 of file Gnu.h. Definition at line 197 of file Gnu.cpp. 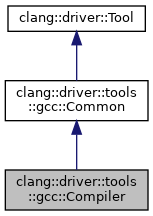 References clang::driver::Driver::Diag(), clang::driver::Action::getType(), and clang::driver::types::getTypeName().